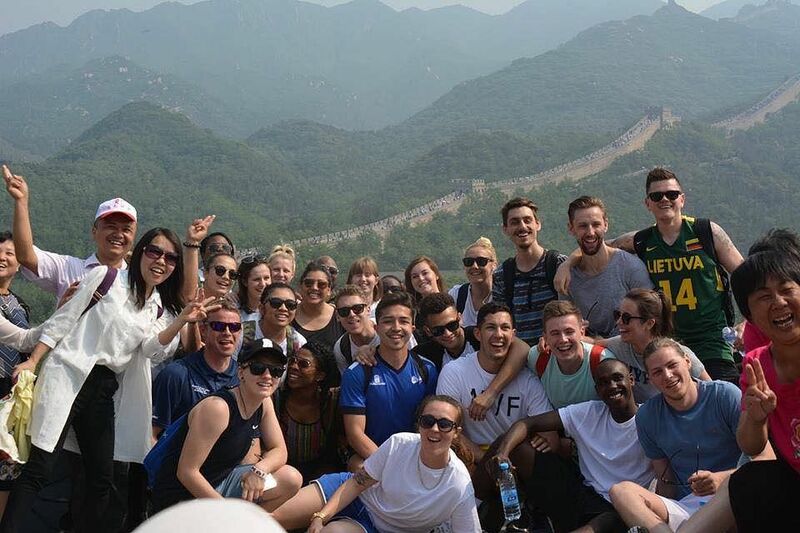 UEL is forming an allegiance with the Beijing Sport University (BSU) in China, and a delegation from UEL visited the country this summer to help strengthen the union. 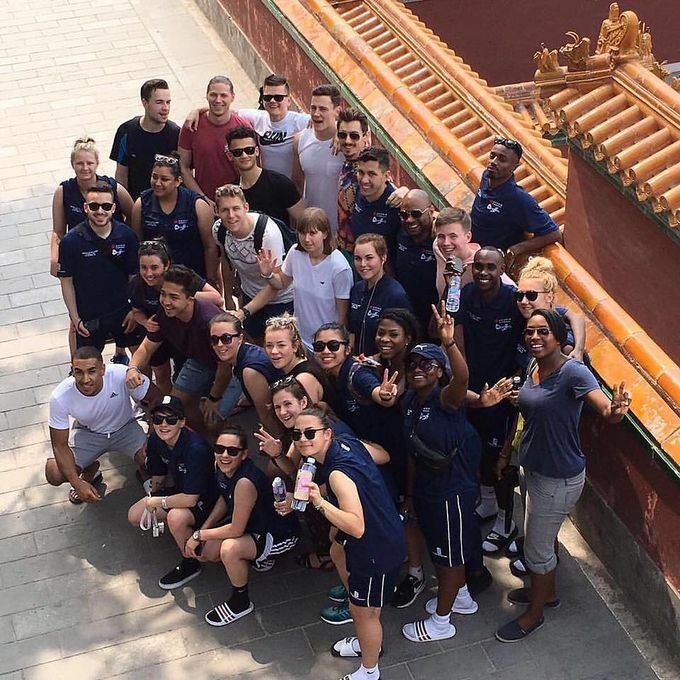 For ten days in June, 31 students who make up UEL men’s and women’s football team, together with their coaches and Sports Therapy lecturer Michael Cole, visited China for a football tour to mark the start of the partnership with BSU which is the largest sports specialist university in the world. The UEL men’s and women’s squads were based at BSU’s vast, modern campus in the heart of the Chinese capital and played six matches against three Chinese universities during their eight-day trip. Jaymini Patel, 2nd year student in BSc Sports Therapy student also attended the trip. “I was offered a placement as the undergraduate Sports Therapy support. The first thing I did was pitch side – which is what I already do here at SportsDock – so if there is anyone who gets an injury while playing, or needs a massage, taping, and rehabilitation, I’m there to assist,” said Jaymini. 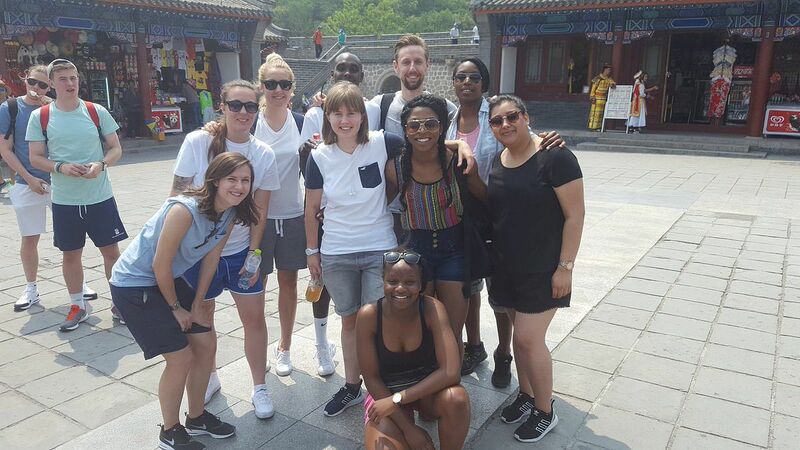 The UEL students also enjoyed sightseeing visits in Beijing and beyond. “The first day we went to the Summer Palace which is the emperor’s summer residence. Like the equivalent of Balmoral Castle for the Queen,” said Jaymini. The trip marked an important step forward in the relationship between UEL and BSU, which was also cemented by the signing of a memorandum of understanding between the two institutions during the tour. Under the agreement, UEL and BSU will explore ways of establishing student and staff exchanges in the field of sport and related disciplines, working together on joint projects and promoting the development Chinese language and cultural education at UEL. A key focus of the partnership will be in helping to develop football in China from grassroots to the highest level in line with the Chinese government’s strategy to turn the country into a football superpower. In addition, British Council in China hosted an event especially for the delegation to celebrate the UK China cooperation on sports. As part of the trip the team visited the Olympic Park, taking in the Bird’s Nest (the national stadium) and the Water Cube (the aquatics centre). With 22,000 students, BSU is the world’s largest sports specialist university, occupying an enormous, high-tech campus that includes 25 gymnasiums and indoor sports halls and 62 outdoor sports fields. BSU is the national centre of excellence for numerous Chinese sports – including gymnastics, volleyball and basketball – and in the last four Olympic Games its students and staff have won 30 gold medals, 16 silvers and nine bronzes. “We did a tour of BSU campus which compared to ours is a little weird as their halls are like little hotels. Then we went to their trampolines area. It’s like our sports hall but filled with trampolines and pictures of people who have competed and won Olympic medals. The facilities over there are extremely good,” said Jaymini. Travelling to China was one of Jaymini’s favourite experiences from UEL, along with going to Sheffield with the athletics club and meeting Jessica Ennis. “My placement was good because I did as much as I could on my own and learnt a lot about myself as well. I realised that I’m a bit of a pushover. As soon as someone needed something I was there, it didn’t matter what time it was. I realised I can’t really do that, if there is 30 something students I can’t dedicate all my time to everyone because I need some time to myself,” said Jaymini.